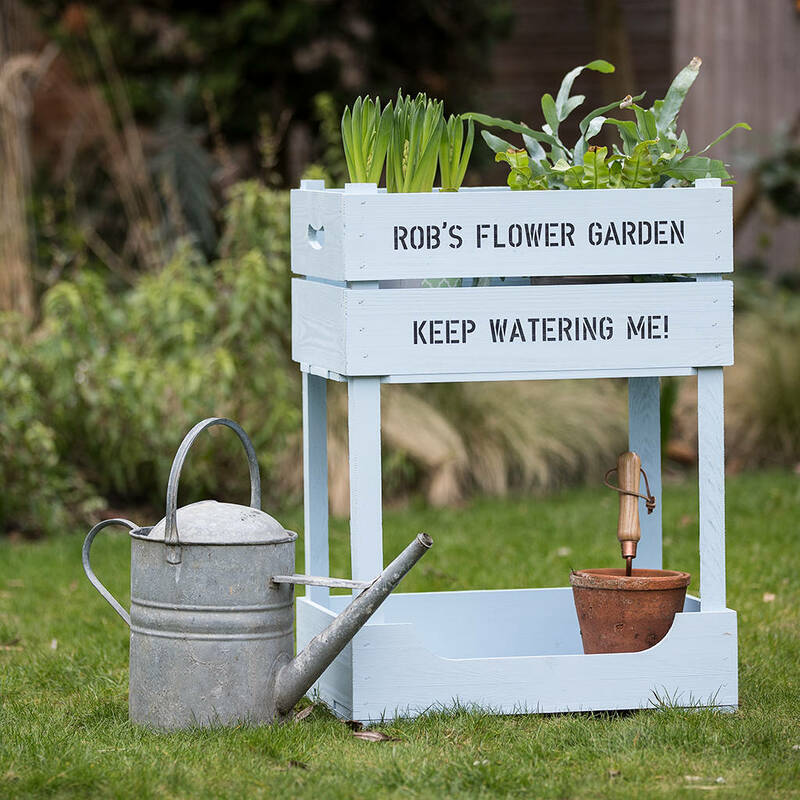 Raised off the ground, this personalised garden planter is a great design feature adding a focal point to any size garden or patio. 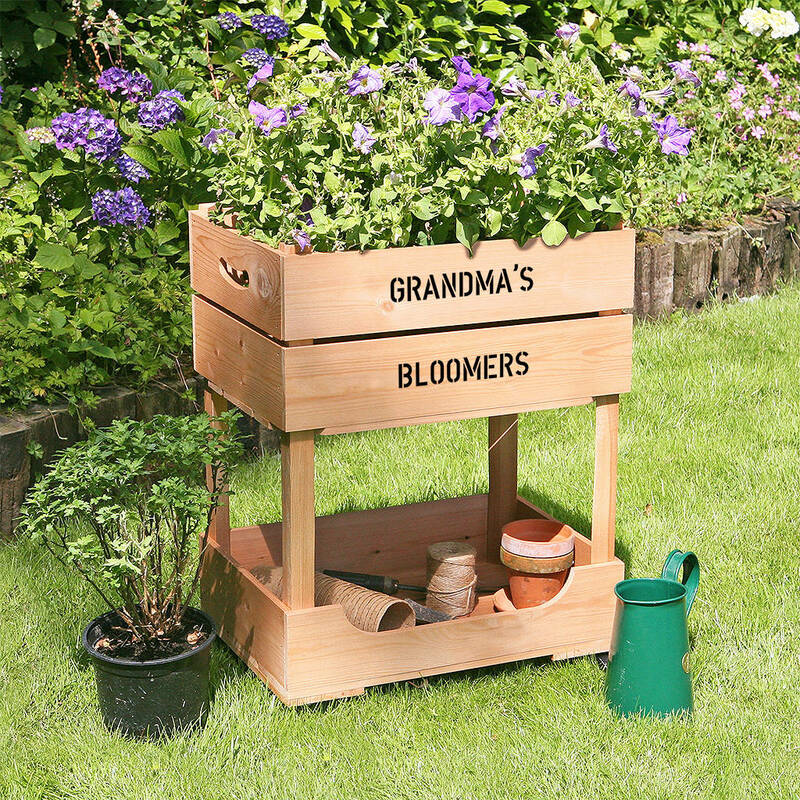 The practical design makes these wooden crate planters accessible and easy to use, making them the perfect gift for an older relation. 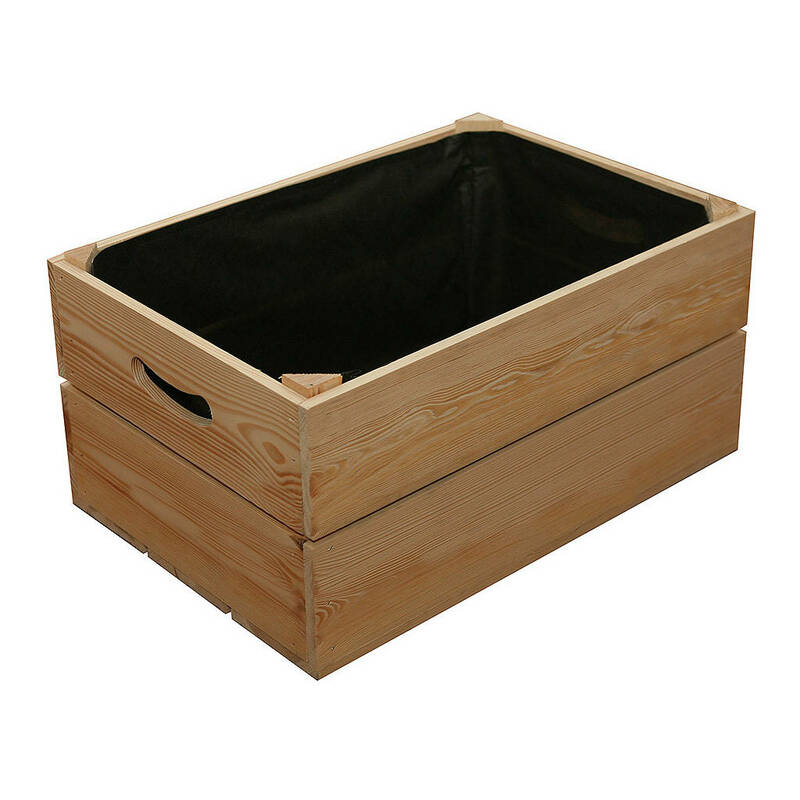 They come with wheels (enclosed but not fitted) and a lower area for storage of garden tools, seeds or a bag of compost. 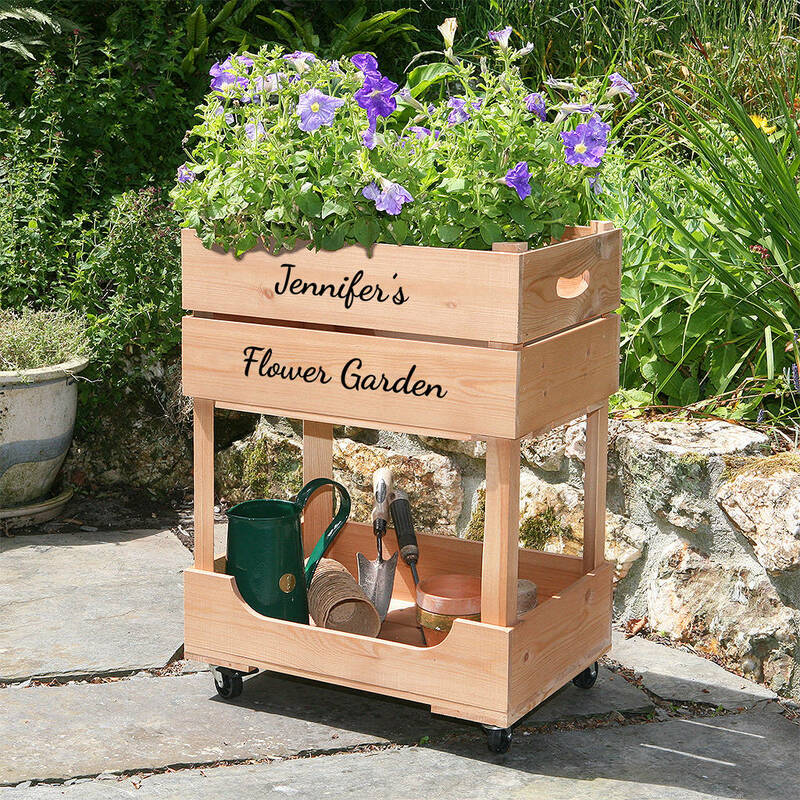 It can even be used as a work bench for potting up seedlings and smaller plants. A most practical and elegant solution for a gardening gift. 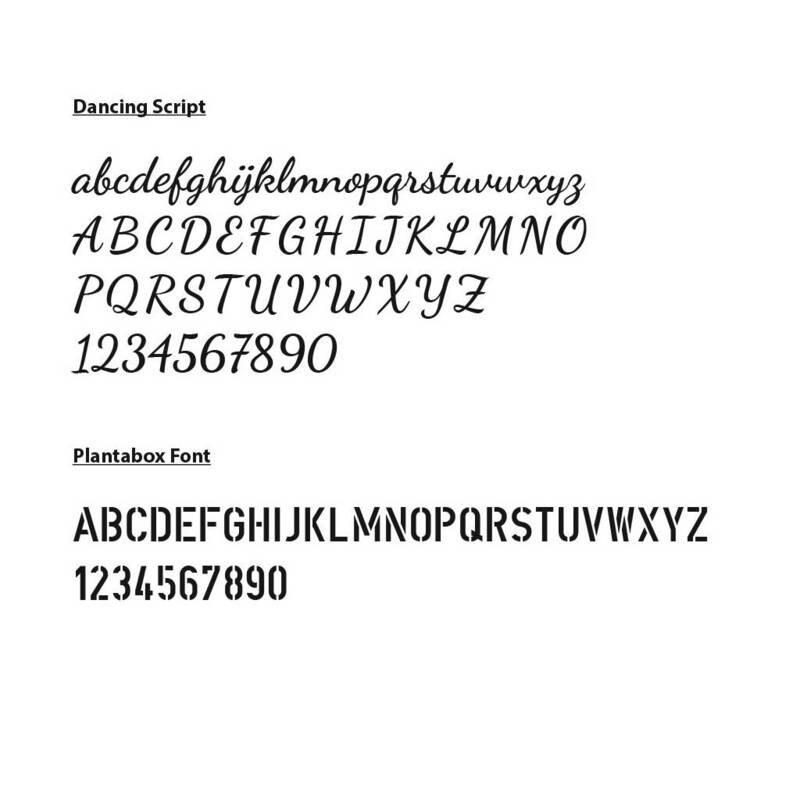 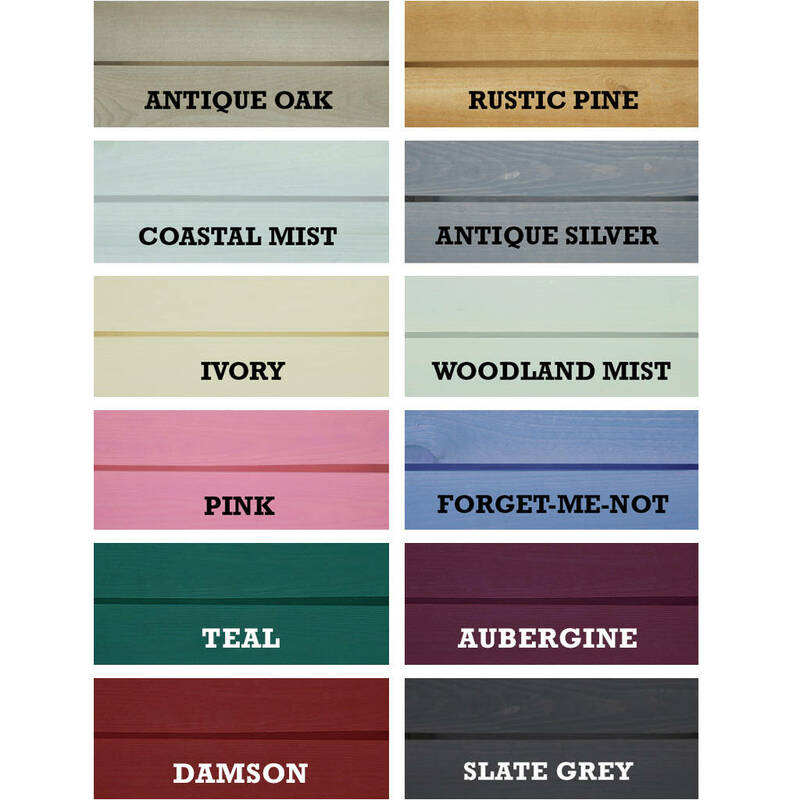 There is a choice of 12 colours and two fonts for the personalisation which can be printed in black or white.